Located off I-195 in Seekonk, Massachusetts. 10 minutes from Providence Rhode Island and only 45 minutes from Boston. 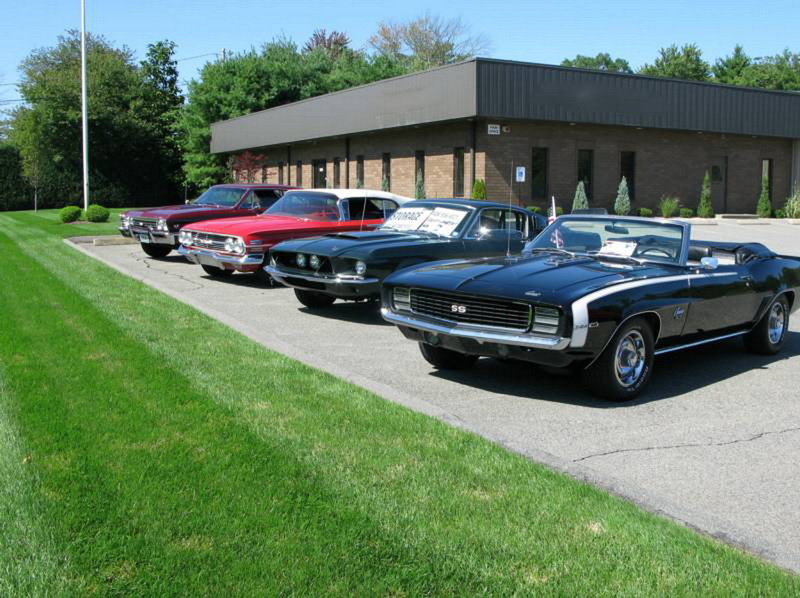 Seekonk Car Storage was initially created to store our family car collection. We needed a clean, secure climate controlled environment that would preserve and prevent our cars from deteriorating. After seeing countless other car owners struggle with maintaining and preserving their cars, consequently spending less time enjoying them and driving them less, we decided to open our doors and lend a hand. 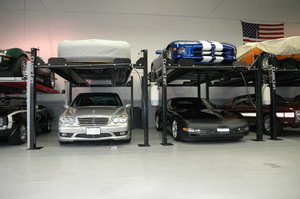 Seekonk Car Storage is a subsidiary of S.D. Lyons, Inc., an automotive forensics company since 1990. S.D. Lyons, Inc., specializes in vehicle collision reconstruction, vehicle fire analysis, mechanical failure analysis and vehicle theft analysis. 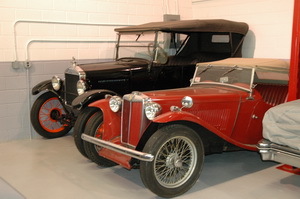 Originally created to preserve collector cars. 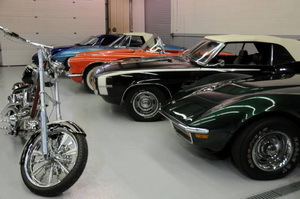 With epoxy sealed floors and a state of the art humidity monitoring system, this area provides museum quality storage for your automobile. Vehicles are parked in easily accessible spots to allow customers to continue to enjoy their vehicles while they are in storage. Removal of vehicle requires a 24-hour advance notice. Low cost - less than a 10'x20' self storage unit! A low cost alternative to premium storage provides you with the bare bones essentials, but still maintains important security features like alarm monitoring and 24 hour video surveillance. Motorcycle owners typically share the same problem as car owners. Although they do take up considerably less space, they are still bulky and inconvenient to leave in your garage during the winter months. Storing your motorcycle in a clean, dry environment frees up valuable garage space at your home, reduces the risk of tipping, and just makes owning a bike a lot easier. 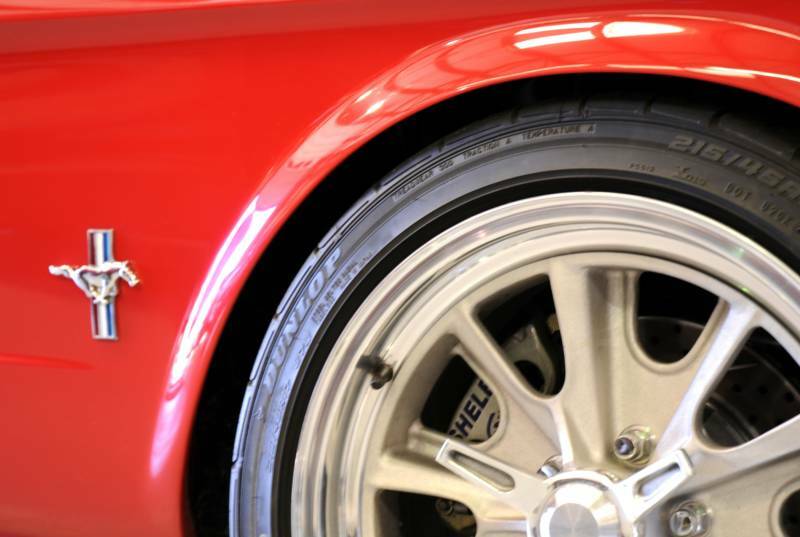 Our 10,000 sq/ft space dedicated to vehicle evidence is equipped with 2 post lifts, secure storage and all the necessary tools needed to perform thorough vehicle inspections. Our indoor facility is monitored by a state of the art monitoring system, motion detectors and video surveillance system. We can arrange to have vehicles transported to and from our facility by a trusted outside transporter who has been handling our personal vehicles for over 10 years. Vehicle evidence at Seekonk Car Storage is managed and overseen by S.D. Lyons, Inc., our automotive forensics division.